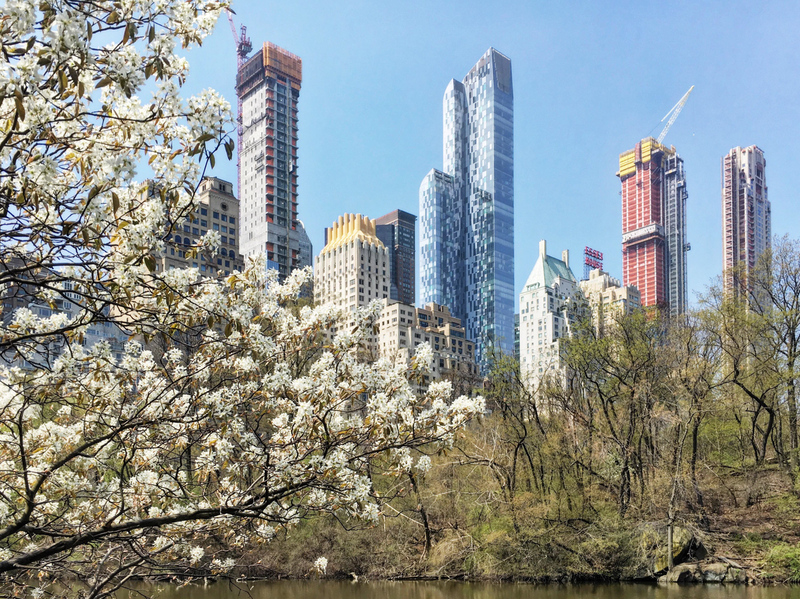 Wrapping up the year and YIMBY’s construction countdown, it comes as no surprise that Extell‘s Central Park Tower tops the list. The supertall will soon become New York City’s tallest residential building, and it will also have the highest roof of any structure in the Five Boroughs. 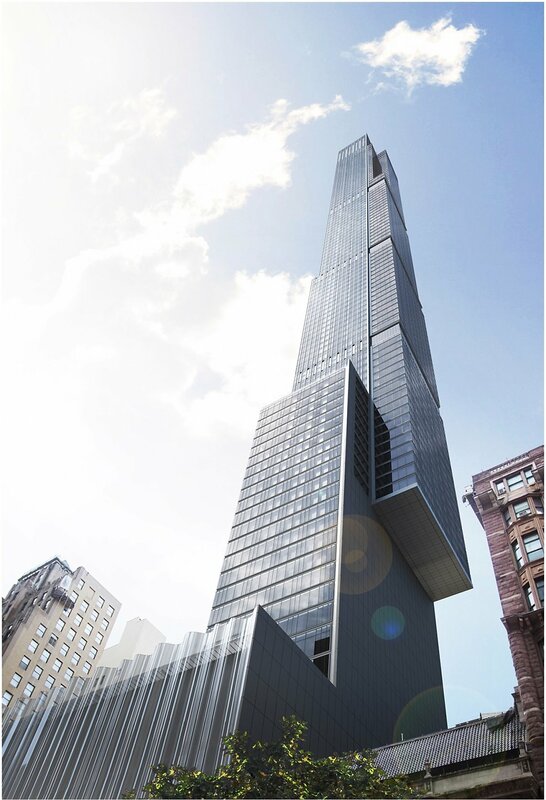 The 1,550-foot-tall tower is being designed by Adrian Smith + Gordon Gill Architecture. The site has previously gone by its address, 217 West 57th Street. 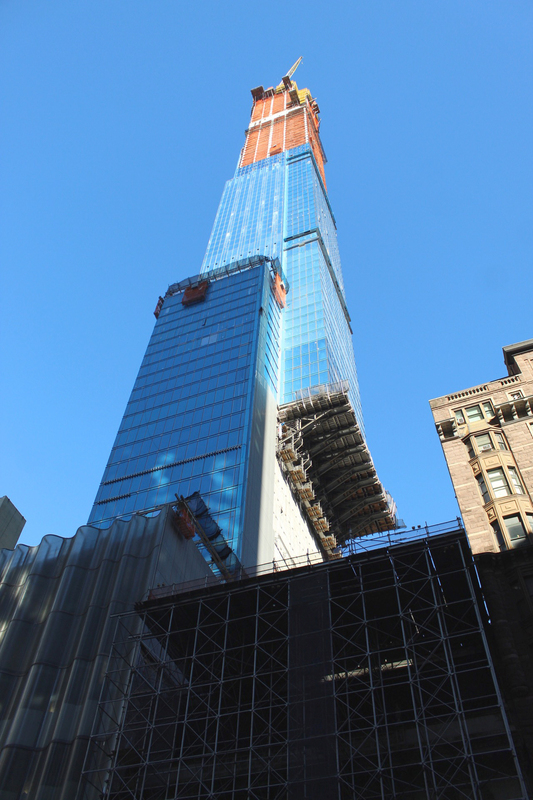 The building has now surpassed its 90th floor, and currently stands over 1,300 feet atop 57th Street. 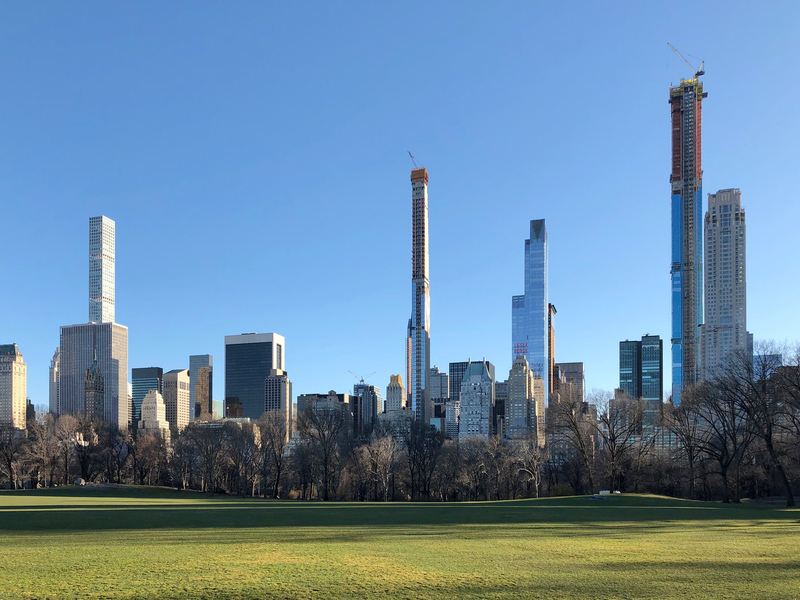 Currently nearing the 1,100-foot elevation mark above West 57th Street, Central Park Tower is well on its way to a 1,550-foot pinnacle above the Midtown skyline and Billionaire’s Row. Now, the Adrian Smith + Gordon Gill designed tower at 217 West 57th Street has officially launched sales of the 179 units that will begin on the 32nd floor, and conclude with a triplex penthouse spanning over 17,000 square feet. Sales are being handled by Extell‘s in-house team. 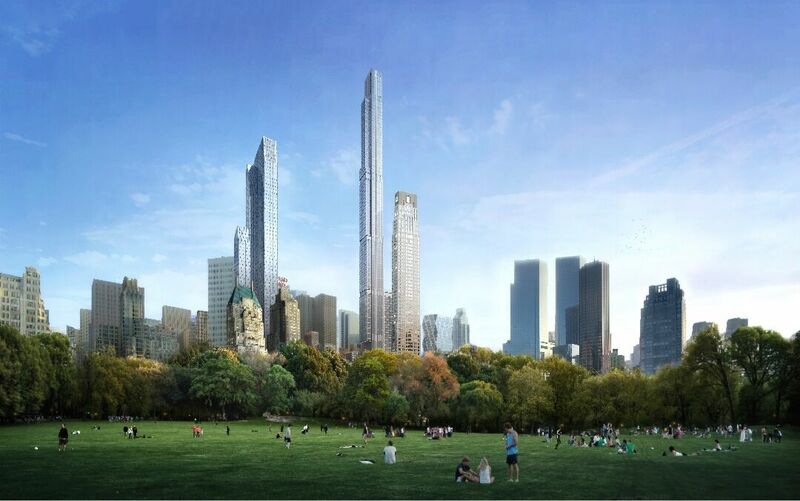 Central Park Tower is finally starting to stick out in Manhattan’s skyline. The building, located at 217 West 57th Street, has been obscured up until now by its immediate neighbor and the near-supertall tower, 220 Central Park South. Most significant to this update is CPT is finally reaching supertall status, i.e. 984 feet (300m) above ground. Extell Development Company and the Shanghai Municipal Investment Group are behind the project.